Nokia India has announced that the 41 MP camera giant, Nokia 808 PureView which was announced back at the MWC 2012, would arrive in India in Mid-June. We were expecting the smartphone to launch on June 6, thanks to a timer on PureView site. The Nokia 808 was to supposedly arrive in India and Russia in May, but has been delayed by a couple of weeks for unknown reason. But we are now happy that the company has finally settled with timeframe officially. 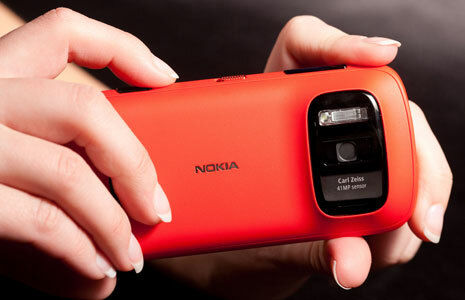 Nokia 808 PureView brings in a 41 MP camera sensor with Carl Zeiss Lens and Nokia’s PureView Imaging technology for which the Finnish giant has also won award. The camera will be aided by a Xenon flash, and will have 3X zoom. Nokia 808 also packs in a 1.3GHz single-core chip, 4 inch display with 360×640 (nHD) resolution, 512MB of RAM, 16GB of internal memory expandable via microSD, HSPA 14.4Mbps and Dolby Digital Plus for 5.1 channel. Nokia 808 runs on Nokia Belle FP1 OS. Unfortumately the company has not spilled any beans over the price tag that the Nokia 808 would arrive with which is a little disappointing. But then it is only a matter of few days before we get to hear form Nokia again about it. So get ready and make all the last minute savings and arrangements to buy the Nokia 808 PureView. The pre-registrations for the 808 PureView are already up in India and if you wish to get one for yourself head over here.